When we talk about game designing, imagination and creativity are two important factors that can help you accomplish become a successful game designer. Since the demand for action-packed video games in increasing at rapid rate, it is important for anyone looking to make a career in video games industry, to explore this section of the industry as well. Of course, high-end and action-packed games require immense imagination, creativity, artistic abilities, writing skills and technical knowledge. For an aspiring game developer, it is important to get the required training to enhance creative, as well as technical skills. Game Design Schools at University of Utah is a good option for students who are interested in pursuing video gaming designing as a career. The university offers relevant undergraduate courses that emphasize on entertainment arts and engineering. While the engineering section of the program focuses on techniques and tools that are involved in making of a video game, the entertainment arts is a subject more inclined to artistic aspects of the industry. Both the subjects have equal importance and programs/courses offered in this University ensure theoretical, as well as practical knowledge during the course duration. University of Utah has been ranked one of the world’s top game design & development schools. The University of Southern California believes that video gaming is a very cutting edge and action-packed arena. University of Southern California offers full fledged management program on Video Game Design. It is an interdisciplinary-academic program focused to provide students with practical skills, techniques and tools that are required to get a good position in the gaming industry. The program offered by USC aims at teaching all the basics and advances of gaming development. 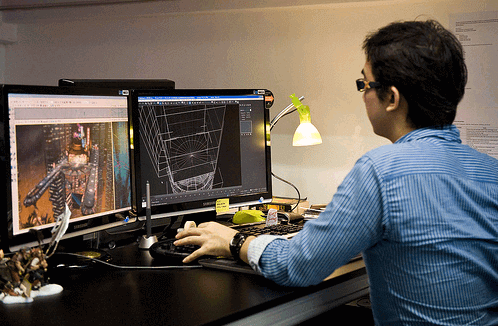 DigiPen Institute of Technology (DIT) offers The Bachelor of Science in Game Design course that is designed to prepare aspiring students to become engineers or hybrid designers. Students receive formal training in designing video games, combined with strong programming skills and mathematics. Students who graduate successfully from the DigiPen Institute of Technology with this degree are skilled in gameplay programming, artificial intelligence programming, as well as user interface. Rochester Institute of Technology offers a number of video game design & development courses. Most students who have had graduated from this university with a degree in gaming design, programming or development have had the opportunities to work with market leaders like Activision, Zynga and Microsoft. A broad based education in processes and computing involved in developing the games is provided. Even though the Massachusetts Institute of Technology has not particular programs or courses to offer for students interested in game designing, but aspiring students can create their own program to study at MIT Game Lab. However, the interdisciplinary approach to study may even vary from a person to person depending upon their particular choices. Given that approach, the MIT Game-Lab take into consideration all factors involved and helps students create the most appropriateprogram for their goals. At Drexel University, the programs for video game designing &development are not offered as one single department. In this university, you’ll find the true experience of video game design & development to provide students the best possible exposure before they step into the real world. Digital Media program at Drexel University makes collaborative effort to help students to live the life of a true video game developer, rather than just cramming the subjects. Similar to University of Utah, the video game design program in Shawnee State University offers plenty of different specializations in different departments. The programs are divided into art and science of creating video games. At STU, the art of developing games can be studied in Bachelor of Fine Arts. This program focuses on application and implementation of art in different kind of games, based on different genres. On the other hand, the science and technology based program – Bachelor of Science in Gaming Engineering emphasizes on different levels of programming. The program offered at The Art Institute of Vancouver – Game Art and Design Diploma Program is committed to help students acquire appropriate skills that play essential in their career in the core video game industry. Thisprogram focuses on building the foundation of design skills to help students achieve their individual goals. It involves both theoretical and hands-on training. Michigan State University launched its interdisciplinary specialization in Game Design & Development in the Fall of 2005. These specialization courses offered include; students design, technology fundamentals and development, while providing the students with indepth knowledge about how video games are designed, developed and programmed based on different genres. The Rensselaer Polytechnic Institute offers program on Bachelor of Science in Games and Simulation Arts and Sciences degree. This video game program has been designed to provide the graduates with integrated skills required by aspirants wanting to have a kickstart career in video game designing & development industry. Other important components of the program focus on different career opportunities that are high in demand within the industry. for students looking forward to make a career in it. Enrolling in any of the mentioned 10 best video game design schools will help you give a boost to your career plans and make you ready to face the challenges of real world. Pursuing the right degree course can turn out to a worthy investment, as industry has a lot to offer to game developers who are creative, as well as passionate about their work.